The Niger Delta University, Wilberforce Island [NDU] First Semester Lecture Time-Table for all Faculties for the 2017/2018 Academic Session in PDF. 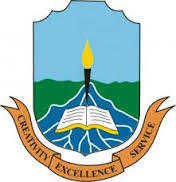 Authorities of the Niger Delta University, Wilberforce Island [NDU] has uploaded the First Semester Lecture Time-Table for all Faculties for the 2017/2018 Academic Session online. Students of the institution can now download their various faculties lecture time-table in electronic format below. Click Here To Download NDU 1st Semester Lecture Time-Table in PDF for 2017/2018 Session.